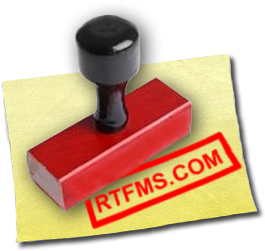 RTFMS : mods, hacks, rtfms. The Information You Will Never Find in Your Regular User Manual. I’ve updated Episode 4 (Turn Your iPhone, Android, Mac, PC, Player etc Into a Universal Remote) to include the python source code of the pronto-code to wav converter: http://rtfms.com/episode-4-turn-your-iphoneandroid-mac-pc-player-etc-into-a-universal-remote.htm#source. Never had time to polish though, so pardon the mess. What you can see in the video … It looks like … I don’t know how to describe it. You definitely won’t confuse it with a plane. Planes do not change the direction so fast. They also do not fly in formations like this. And definitely do not change their color. So what is it? continue reading "RTFMS Episode #9: IGLO: Identified Glowing Object"
Did you ever try to levitate a magnet with the help of bunch of other magnets? It seems very easy: since magnets can repel each other you probably can put a bunch of magnets in circle so they equally push the other magnet towards the center of the system. Or maybe even build a sphere made of magnets that would suspend another magnet in the center. But if that’s so easy why it is so difficult to build trains that use magnetic levitation? If you try these “easy” methods you will find they all do not work. In fact back in 1842 British mathematician Samuel Earnshaw proved that it is in fact impossible to suspend a regular magnet in space with the sole help of other regular magnets statically placed around it. Well he didn’t prove exactly that, but this follows from his original theorem. The proof of the theorem contains too many Greek letters to explain it in this short video, so let’s just trust those smart guys who triple checked it and found it correct. So it is impossible to suspend a magnet in space using just bunch of other magnets. But take a look at the video. There is a large ring ceramic magnet and another magnet which is also a top. And if I carefully spin the second magnet above the first one it will indeed hand in the air. How is that possible?! Let’s talk about this and a few other loopholes in the Earnshaw’s Theorem and actually build a few magnetic levitation devices. This is gonna be cool! continue reading "RTFMs Episode #8: How to Build a Magnetic Levitating Top"
Look what I have! This is not computer graphics, the locket is actually glowing with shimmering light constantly changing the color. It looks fantastic, especially in the the evening when only candle lights light up the room, you know. It makes a great present and in this video I will explain how you can build your own. While implementing this project you will also learn all basic things required to program PICAXE-08 microcontroller and find out how to get 3 PWM channels from a microcontroller that has just one. continue reading "RTFMs #7: Microcontroller Meets Jewelery aka “Magic Locket”"
- and some sand from sunny beaches of Florida. I love Florida! Now I want to mix it really well with this cool device we will talk about in one of the following episodes. Now we have some really dirty horribly stinking water. continue reading "RTFMs #6: Superfast Filtration"
If by looking at this picture you guessed that today’s episode is about vacuum, you’re totally right. To be precise, we will be talking about building a powerful vacuum pump. continue reading "RTFMs #5: Building a Vacuum Pump"
Which remote is better -- this universal remote or this iPhone? Of course iPhone is better!! It is naturally the best remote you can imagine. It is connected to the internet, so you can check the TV program. It has huge high-resolution touchscreen. And it is always with you. One problem with it: it’s not a remote at all. So let’s turn your smartphone into a remote. continue reading "Episode #4: Turn your iPhone(Android, Mac, PC, Player, etc) into a Universal Remote"
Episode #3: Computer, Give Me Coffee! Remember how we, humans, interact with computers in sci-fi movies? Computer do this, computer stop that. Why we still do not see all this voice interface awesomeness in our homes? Why we can’t just say “Computer, give me coffee” and get the coffee? It is not that difficult to implement and today we will do it. continue reading "Episode #3: Computer, Give Me Coffee!" Do you feel a strange smell coming from the air conditioning system? Something is going on there and most people have no idea about live between the walls of their houses. 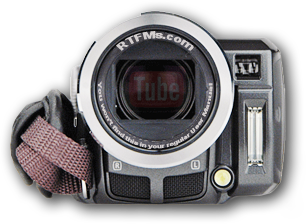 This is Andrey Mikhalchuk and RTFMs video blog: the information you will never find in your regular user manual. Today we will build a device for exploring the darkest corners of your house. continue reading "Episode #2: Building a Duct Camera"
This is Andrey Mikhalchuk and RTFMs video blog, the information you will never find in your regular user’s manual. In this episode we will build a simple robot and program it to solve a maze. The best part of the project is that it will only take about 15 minutes of your time, requires no soldering, no expensive materials and no advanced skills at all. continue reading "Episode #1: A 15 Minute Robot"
© 2010, 2011 RTFMs.com. Project by Andrey Mikhalchuk.